Any time a reseller considers bringing a new device into the mix, there needs to be some compelling rationale. Often the conversation can be reduced to a single question: Who are the users? Once you understand the users’ needs, decisions around a particular device often become clear. If mobile workers are the core user base, the emerging device of choice is the 2-in-1, a combined tablet/PC that gives resellers a competitive edge. How so? With the highly mobile professional in mind, two key factors emerge. First, demand is growing fast for these versatile devices among a broad swath of users in sales, retail, healthcare and beyond. Second, the deployment of a 2-in-1 device, especially one that comes preconfigured with Windows 10 Pro, creates significant opportunity for ancillary licensing and services. Among highly mobile workers, people who need to office anywhere, the 2-in-1 combination of tablet and PC fills a unique niche. As a tablet, it’s ideally suited for presentations and information-sharing at the work site or over coffee. In PC mode, it supports interfacing with back-office systems for heavier computing uses. There’s a definitive market for such a combination. In its fourth quarter 2016 forecast for U.S. commercial detachable tablets (taken from IDC Tablet Forecast 2016Q4), research firm IDC predicts the category will grow from less than 800,000 devices in 2016 to more than 6.5 million units in 2020, indicating that 2-in-1s will replace traditional notebooks and desktops for many workers. From a reseller perspective, the sheer breadth of potential use cases may be encouraging. The 2-in-1 may appeal to mobile sales professionals, financial advisors, medical professionals and retailers, with each vertical approaching it in a differently. 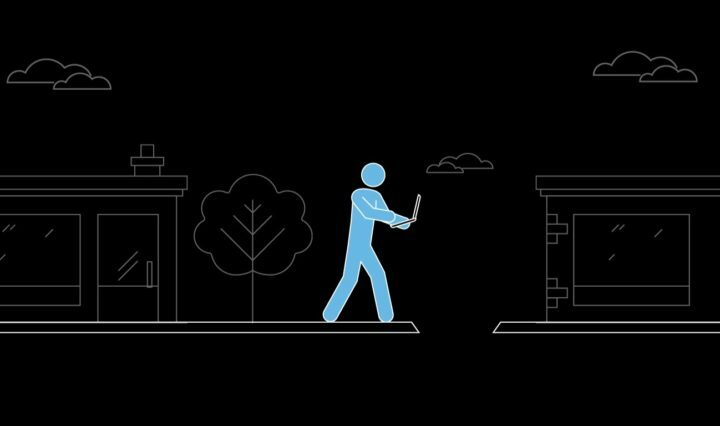 Learn how a 2-in-1 solution blends mobility and productivity. What’s interesting from the reseller point of view is the diversity of these varied use cases. It means the reseller has a range of stories to tell, a variety of narratives available that help to illustrate the powerful potential of this new device across a broad sweep of possible needs, with no two applications alike. Taken together, these varied use cases suggest a potentially explosive market. It’s what customers are asking for. Not every reseller will play in this niche, but for those with a base of highly mobile professional users, the 2-in-1 is worth exploring. How do you know whether a 2-in-1 laptop is an appropriate offering? It comes down to knowing the customer, a process that begins with conversations. The vocabulary here will likely cluster around productivity, efficiency, mobility, flexibility. If a customer is talking in those terms, they may be expressing an unmet need for a new, highly versatile form factor. Thus, having a conversation around the business need will be an important first step for a reseller looking to evaluate the potential of the 2-in-1 in the overall business line. For some, performance will be a question mark, and the latest 2-in-1 laptops meet this test. The Samsung Galaxy Book, for instance, runs a Core i5 CPU with 8 GB of memory and 256 GB of storage, along with an additional USB port for added productivity. The inclusion of Samsung Flow enables easy multitasking between phone and hybrid device. For those who do decide to bring a hybrid setup into their offerings, devices that come preloaded with Windows 10 may create an added avenue for market leverage. The availability of Windows 10 in the 2-in-1 creates an opportunity for dialog, as resellers explore their customers’ present Windows 10 deployments and their plans for adopting the new operating system. For customers already on the Windows 10 path, the 2-in-1 could fit neatly and easily into their present efforts. For those who haven’t upgraded, a Windows 10 Pro hybrid could be the catalyst for a broader enterprise-wide adoption. The reseller who makes a case for the Windows 10-based 2-in-1 devices could leverage that deployment into a wider engagement as the new operating system rolls out across the enterprise. The 2-in-1 can be the catalyst for extensive Windows 10 Pro implementations. Likewise, the introduction of a new hybrid device may open the door to new licensing deals and software sales. Organizations interested in 2-in-1 laptops have certain implicit needs: They are looking for a combination of enhanced mobility, superior efficiency and supercharged productivity. It may be possible for the savvy reseller to package additional software products around those well-defined needs. Additionally, a reseller could pull together services offerings, especially in the form of training opportunities, with instructional offerings aimed at encouraging users to make the most productive use of their new mobile options. This technology not only gives opportunities for businesses looking to be on the cutting edge; it can help bring your reselling portfolio to the next level with a currently untapped market and new services for today’s client. Enterprises can also merge their desktop and mobile experiences through a Chromebook for business, a flexible new computing alternative.